Maria Sascha and I celebrating my Gold Medal at Istanbul! 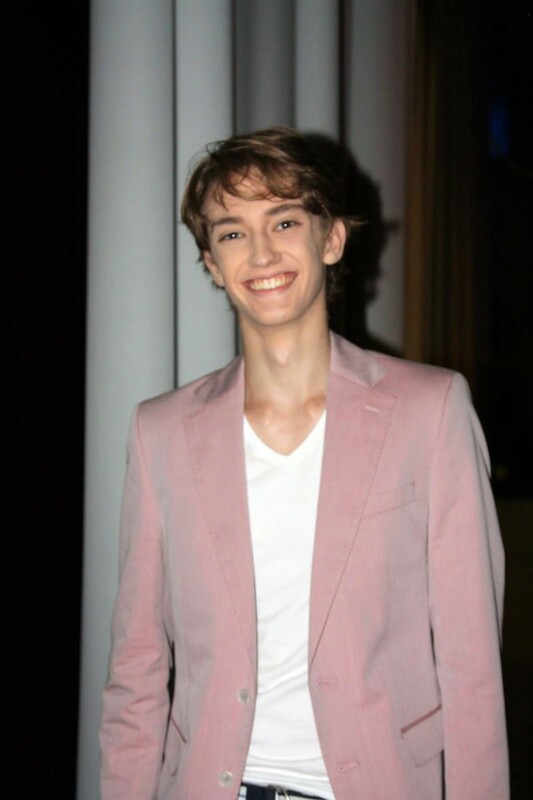 The (other) American at the Bolshoi, 16-year-old Julian MacKay, has been winning medals at the international ballet competitions at Sochi and Istanbul. Of course there are lots of ballet competitions and lots of medals, even if these particular competitions are important ones, but what is incredible is that he was representing the Bolshoi Academy at Sochi. An American in Paris doesn’t surprise anyone nowadays, but an American in Moscow – especially at the very Russian and prestigious Bolshoi – is still a rarity, and to represent the Academy, a first! said Julian, returning to Moscow after his whirlwind two-week adventure on the competition circuit. David Hallberg is trailblazing the way as the first American to be part of the Bolshoi Company, and others went through the Academy before Julian, (including the gloriously named Mario Labrador who now dances with the Mikhailovsky in St Petersburg), but to represent this great Russian institution in Russia itself is an outstanding achievement. I have worked hard at the Academy for five years, speak Russian fluently, and the Director, Marina Konstantinova Leonova, told me that even though I am an American, “You’re ours!” I was required to show her my variations a few days before, and she approved! The preparation wasn’t easy as the set pieces for Sochi had to be prepared outside his commitments to the Academy’s own programme. I worked with my teacher, Mikhael Sharkov, but had to rehearse at the same time for three shows with the Bolshoi Academy. Two were in the Bolshoi Theatre, where I danced a lead role in Nacho Duato’s L’Amorosa. Also there was a Hungarian character piece. This was all while learning six new pieces for Sochi! It was a challenge to keep all the choreography clear in my mind. The week before the competition I learned two new contemporary pieces, which were choreographed on me by Alisher Khasanov. I love working with him, he’s great! I also had help on the classical variations from another coach, Nicolai Tikhomirov in Moscow. I am really thankful that Russians love ballet so much and are willing to help so readily when you ask . I am also grateful to the people who helped me get costumes for the competition from the Bolshoi Theatre. Although Julian is aware of his own abilities, and has the support of his rather exceptional family, he is not pushy or arrogant. He seems to be, in fact, rather like Hallberg in character, physique and onstage presence. I was excited, then worried, then exhausted… and then just thought, “Well, I’ll just do my best”. The Sochi competition, called “Young Ballet of the World“, was set up by Yuri Grigorovich in 2006 as a junior version of the Prix Benois de la Danse, which Grigorovich has chaired since it was established in 1992. When I passed through the first round of Sochi I was more confident. For the second round, I just had fun, and I knew it went well. A few of the judges came back to congratulate me, and said they really liked my pieces. I was very nervous for the last round, as I had not rehearsed as much as I wanted. It went great! I was happy to win a medal, and it was an honour to be judged by such ballet legends. The best moment was when Yuri Grigorovich said, “This is a great victory,” as he hung my medal around my neck. An American from the Bolshoi had never won a medal at Sochi before. I was proud to represent the Bolshoi, and the Director said she was proud of me also. A great moment was when the dancers from the older category were cheering for me backstage. That really meant a lot. And the after party was a lot of fun! What Julian and his mother, Teresa, hadn’t realised, however, was that medal winners were expected to perform not only in the closing gala in Sochi, but also in Krasnodar two days later with the Yuri Grigorovich Company. That meant a nine-hour train journey to get there for the gala which was on the same day that Julian was due to start at the Istanbul Ballet Competition. No time either to return to Moscow to pick up the costumes for Turkey. We got stranded for 2½ hours without air or open windows. It was funny later, but exhausting, as it was unbearably hot. It was mostly filled with Russians who had been on vacation at the Black Sea, and wore no shirts, with little kids running around in their underpants. Wow, so hot in there!!! 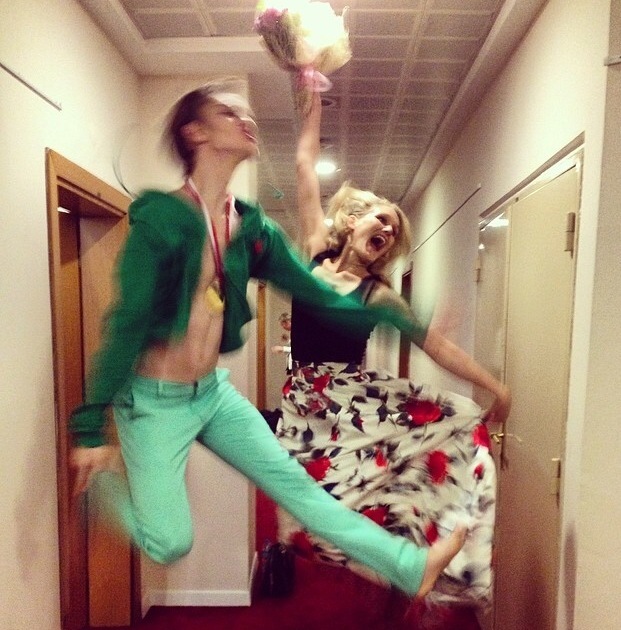 No air… Now we know why none of the Bolshoi teachers came, haha! At Krasnodar, Julian performed two of his pieces from the competition – Albrecht’s variation and a contemporary work, Cuban Nutcracker – which went so well that he was even offered a job. At one-thirty in the morning they left for the airport to get the night plane for Istanbul. A two-hour flight over the Black Sea and they arrived just in time for the competition, but not in time to sleep! The International Istanbul Ballet Competition has reached its fourth edition and is attracting much attention and important names from the dance world. I danced new pieces that I had not danced before, both Don Q, Paquita, and a new contemporary work called Pointe of Origin. But he didn’t have costumes. Two of the dancers at the Sochi competition had rallied round and lent him theirs – “they were awesome!” – and for the modern piece he managed to buy something suitable in Istanbul. His sister, Maria Sascha Khan, who dances with the Bayerisches Staatsballett, flew over to put him through his paces, putting the finishing touches on variations he didn’t know that well, and even completing the choreography for the modern piece. The result was that he won the gold medal in the Juniors section. The medal winners, as in Sochi, went on to dance in the closing Gala. I had the privilege of dancing in the Gala of Stars with Vladimir Malakhov and Beatrice Knop, who I met seven years ago in Berlin when my sister danced there! It was a great moment to be on stage with them! After winning the Gold medal in Istanbul I was really, really happy! I won two medals and did three Galas in the span of two weeks. I was exhausted, but it felt right because I had given all I had to my performances. Winning competitions is much more than receiving bits of metal on ribbons and a certificate to hang on the wall. It’s about experience in front of an audience and colleagues, confronting fears, and getting recognition; outside the school it gives an idea of your place on the world stage, and what you need to work at if you want to climb up the rankings. It’s not athletics, there are no absolutes, so competitions are always subjective affairs. Even if a young dancers is not placed in one event, it doesn’t mean that he won’t be getting a medal at another. I have already heard from several onlookers in Sochi who were astonished that Julian didn’t get the gold medal there too, but each judge has his or her own way of seeing things. Competitions are there to be exploited by young talent, and if you can’t come out at the end with your head held high – winner or loser – then the world of professional dance probably isn’t for you. I think the most important thing I learned was that I can accomplish a lot if I am really focused, and don’t let anyone tell you you cannot do it, or aren’t ready. A lot of my fears disappeared just because I put myself there and decided to do my best. In Istanbul it helped to be out of Russia and with dancers from around the world. I am very happy with the training I have received from Russian teachers, and look forward to graduating in June 2015 from the Bolshoi. I plan to work in Russia, and these competitions helped me connect with people who want to support me in accomplishing that goal.